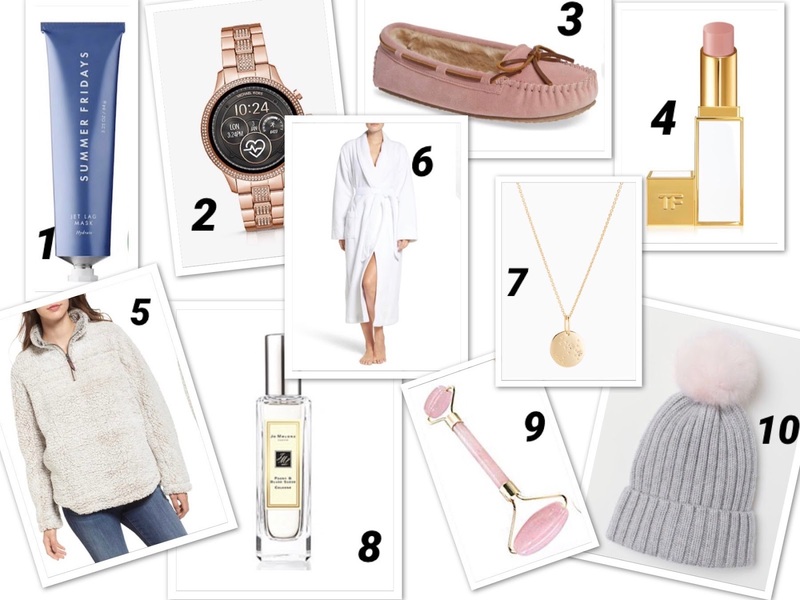 Today I want to show you my Gift guide for Christmas 2018. I kept in mind the latest trends and even though most of the items are affordable, I added a few splurge pieces. It's a Christmas after all, and I know you've been good. Since our face is like a business card, first thing on the list is this Jet Leg Mask. It has been very popular this year and it's definitely on my wishlist for Christmas. I love Michael Kors watches, and they smartwatches are to die for: very practical in this age, yet also very stylish. Love when my feet are toasty warm. These slippers come in 8 colors and are very comfortable. I have a black pair and thinking of buying tan ones. This fleece pullover is a must-have sweater: warm and very cozy! This Robe comes in four colors and would be a perfect gift for any women in your life. Delicate jewelry is very popular right now, and this necklace is beautiful on its own or can be used for one of the layering pieces. Always make sure that your gift is personal, and what is more personal than telling the person that you know their zodiac. I linked Sagittarius since it's my sign, but you can find all the others on their page. Perfume is always a good gift idea. I linked Peony & Blush Suede scent because it's my favorite and it happens to be the most popular one. Jade Roller is a great tool that can help you maintain a healthy skin. You can never have enough hats, especially if they are as cute as this pom-pom hat. I hope you liked my gift guide and it helped you to find a perfect present for someone.